The Center for Undergraduate Excellence invites students to the Pitching and Presenting Workshop. 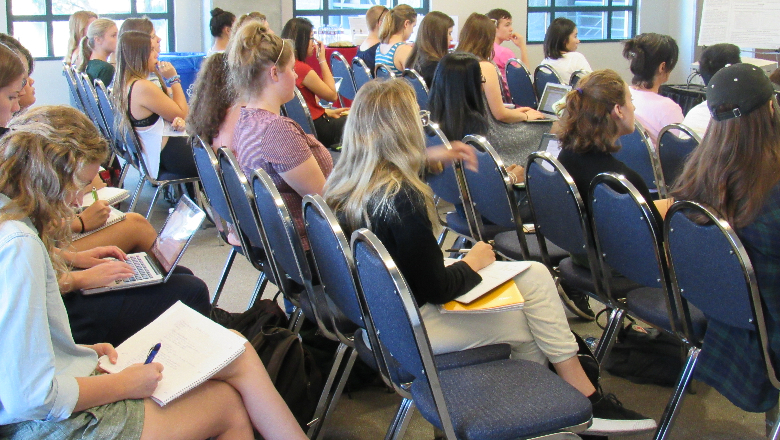 Learn strategies that can be applied across academic disciplines for writing abstracts, sharing your research and creative activity with others through conference presentations, and working toward publication. Do you want how to create effective and eye-catching posters? Not sure what to include on your poster? 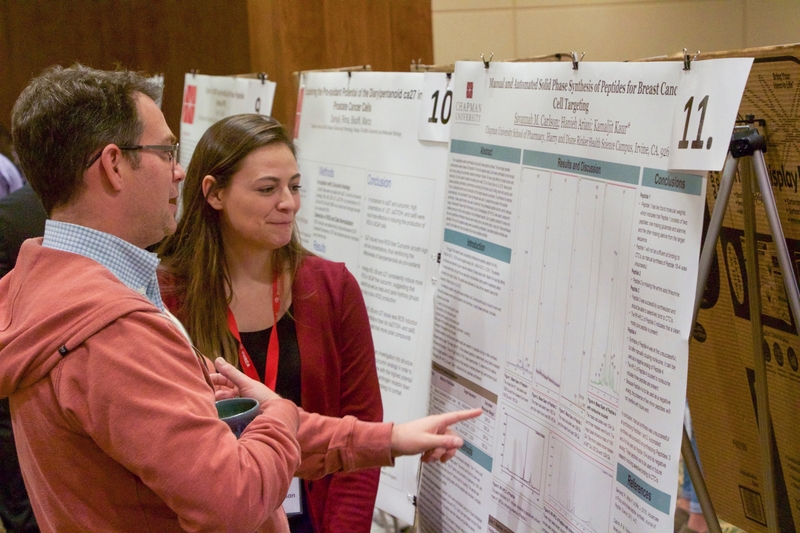 Sign up for a Poster Workshop personal consultation with the Center for Undergraduate Excellence. Drop ins welcome but appointments will have priority. Stop by anytime throughout the day to learn all the information students and faculty mentors need to know about the SURF program. Past SURF fellows and Center for Undergraduate Excellence representatives will be available to answer your questions. Students and faculty interested in the SURF program are encouraged to attend. *Presentations will be given at the top of each hour. Learn about various national and international external scholarships available to undergraduate and graduate students, including the Truman, Fulbright, Rhodes, Goldwater, and Marshall. Contact the Center for Undergraduate Excellence CUE@chapman.edu for information. Stop by to learn about the various Fulbright programs that you can apply for, and what the application process is like. Interested in pursuing graduate study in the UK or Ireland? Join us to learn about the various scholarships and fellowships that can fund your graduate school abroad. Are you planning on applying to a scholarship or fellowship? Get started on your application in these personal statement and essay workshops. Dr. Julye Bidmead will be there to answer any questions you may have about your application and help you develop a competitive personal statement and essay. RSVP is required. Are you interested in applying for a Fulbright fellowship? Join us to learn more about the details of the application process and the elements of a competitive application.